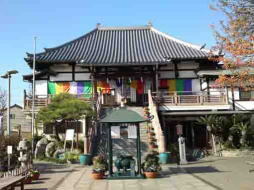 Kinreisan Enshoin Temple in Shisibone Edogawaku is a beautiful temple belonging to Buzanha in Shingonshu. 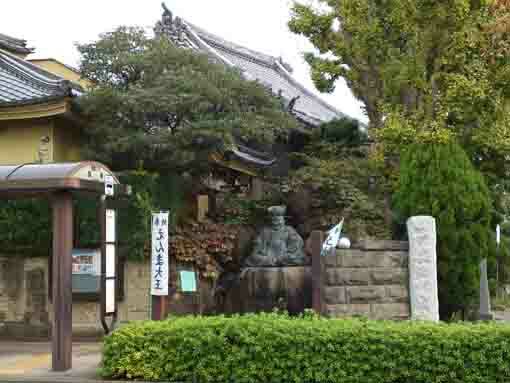 It has been famous that there had been built a rest station for the eighth Shougun of Edo Bakufu, Yoshimune Tokugawa while he was going hawking. 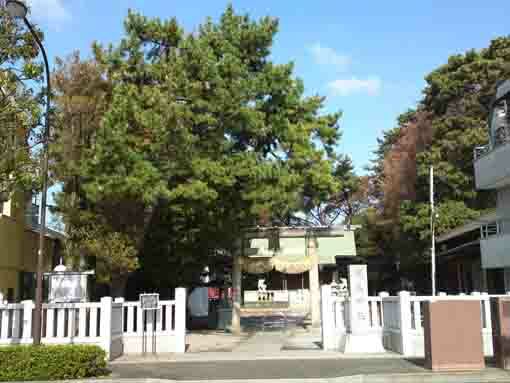 And according to Shinpen Musashi Fudokiko, Enshoin was a temple named Kinreisan belonging to Shingi Shinogonshu and was a branch temple of Shofukuji in Kamikomatu village built by Enkai died in 1530, the principle image of this temple was a statue of Amidabutsu. 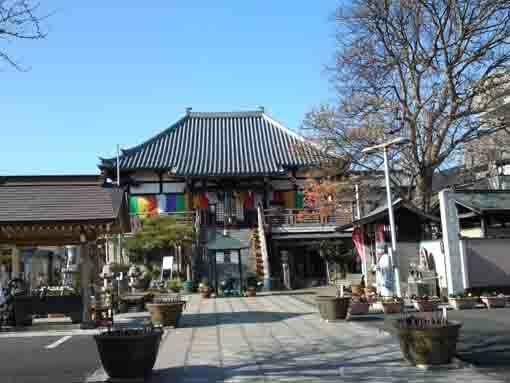 The temple is a very good place for them to rest since it is decorated with seasonal flowers in the quiet residential quater while people are walking. 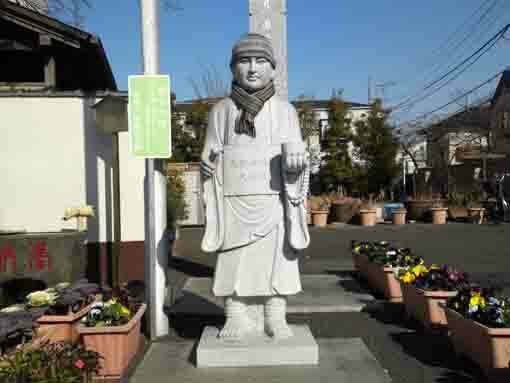 There is a statue of Akushu Daishi (streching his right arm to front to shake hand with us) standing on the approach road that welcomes to visitors gently. 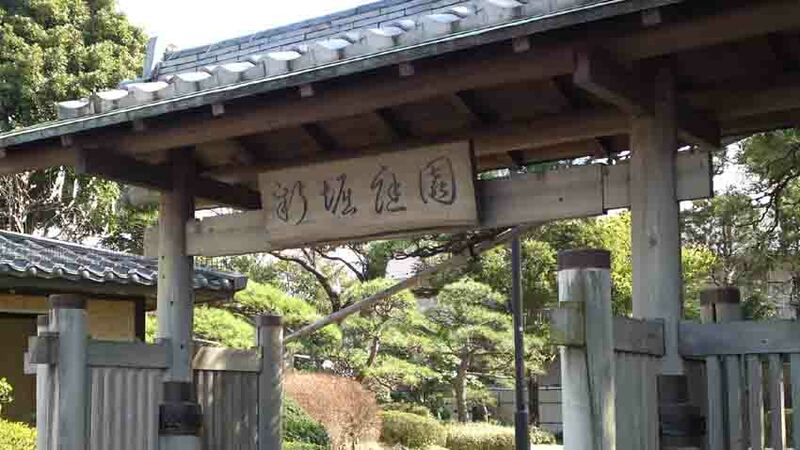 Why don't you visit Kinreisan Enshoin Temple? Enshoin is named Kinreisan Shinmeiji belongs to Buzanha in Shingonshu. In 1530, Enkai built. The statue of Amida Nyorai has dedicated as the principle image. 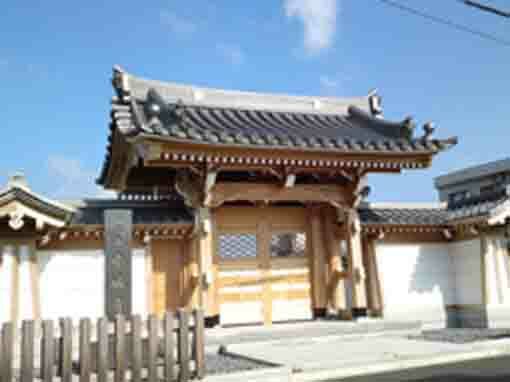 In 1689, Enshoin was burnt down and moved it from the south of Kashima Jinja. This temple was a rest station for the eighth Shogun of Edo Bakufu, Yoshimune Tokugawa, while he went on hawking. This tablet was registered as a cultural asset by Edogawaku in Febraury 1982. It was found at the grave yard in this temple and there is letters '徳治３年 (1308)' on it. This tablet was registered as a cultural asset by Edogawaku in Febraury 1984. It was dedicated at a small shrine near this temple and it has letters '応長元年 (1311)' on it. Now it is reserved in Enshoin. 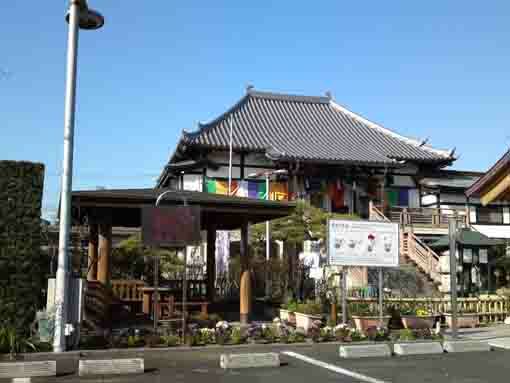 Kinreisan Enshoin Temple has great accessibilities from both Narita and Haneda International Airport. 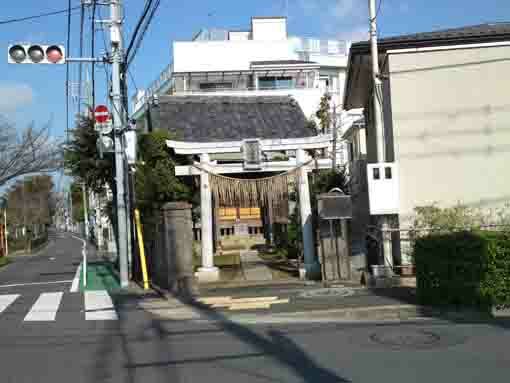 Take 23 minute walk from Shinozaki Sta.